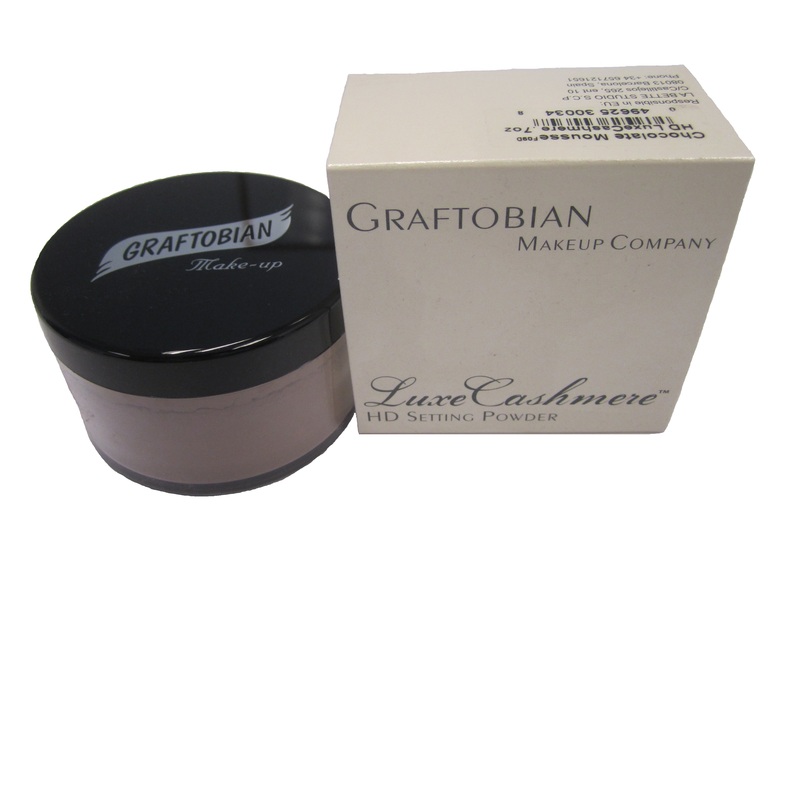 Graftobian HD LuxeCashmere(TM) Setting Powders are newly formulated from an ultra-fine ingredient base. Available in five shades, these powders are smooth and touchable, and will quickly mattify the skin to yield an ultra light and silky feel. Coconut Cream(translucent) is a neutral setting powder which will not change or dull colors. French Silk is a translucent light powder, which works well to set light to light-medium skin tone makeups. Pecan Pie is applied to set makeups on mid-tone brown skin. Chocolate Mousse will set the richest of dark skin tones without making dark skin look "ashy" as can often result from using powder that is too light. Banana Cream Pie was requested by our great friend, Mary Erickson, and is used to neutralize skin that has a tendency to have red or ruddy undertones. It will also add warmth to light and medium skin tones.